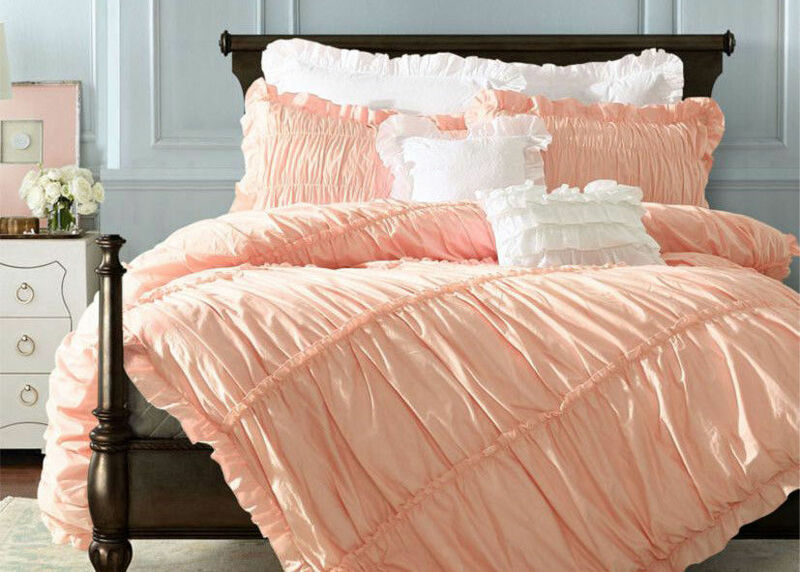 Dreamy bedding inspires peaceful sleep. Layered strips of fabric add depth while keeping the overall effect light and airy. Made of 100% Cotton . Duvet cover is finished with interior corner ties and a button closure to keep the insert in place. Sham features a side tie closure. Duvet cover, sham and inserts sold separately. A sample, a layout, Ai file, PDF, even a picture (special materials and color must be remarked.) has been enough for us to produce the sample of your plush toy. We will provide the exact price together with the sample. A. Sampling cost: 100 ~150USD (according to different structure and size); When your order quantity is above 2000pcs, sampling fee could be returned back to you. B. Sample leading time: 5~7 days after confirmation of sampling fee and material details. When style and color of first sample is confirmed, we will produce the formal sample. C. We will send pictures or sample to customer for confirmation. Then according to customer's requirement, do some revision, until sample is finally confirmed. When final sample is confirmed, we could start mass production. Customer could place the order. In the order, it must include final sample pictures, size, your standard, quantity, price, delivery date. When deposit is paid, mass production will be arranged. According to customer requirement, during production, we will send production sample to you. Customer could arrange QC to our factory for quality check. When production is finished, we will inform customer to do the balance payment. When we receive all payment, we will deliver products to relevant address according to the order. Fill out our online quote / mail /Contact us to get started. 1. Competitive price and delivery date. 2. Strong ability in development and quality control. 3. New and good designs. 4. The international advanced level of technology. China Good Quality Modern Bedding Sets Supplier. Copyright © 2017 - 2019 modern-beddingsets.com. All Rights Reserved.